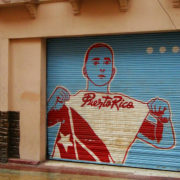 Puerto Rico is well known for being one of the finest producing islands of rum in the world. Combine that with that fact that alcohol advertising, in general, has always been a very competitive and creative space and you’ve got a very interesting space for advertising. Over the years there have been a large number of rum companies who have tried to make an impact on the industry. As advertising has switched to a digital medium we often miss the simpler times of advertising where had drawn art and creativity were crucial. 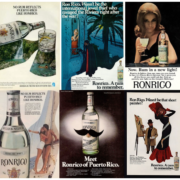 We’ve put together some of our favorite rum ads from a variety of different companies, some that still exist today and some that didn’t make the cut. 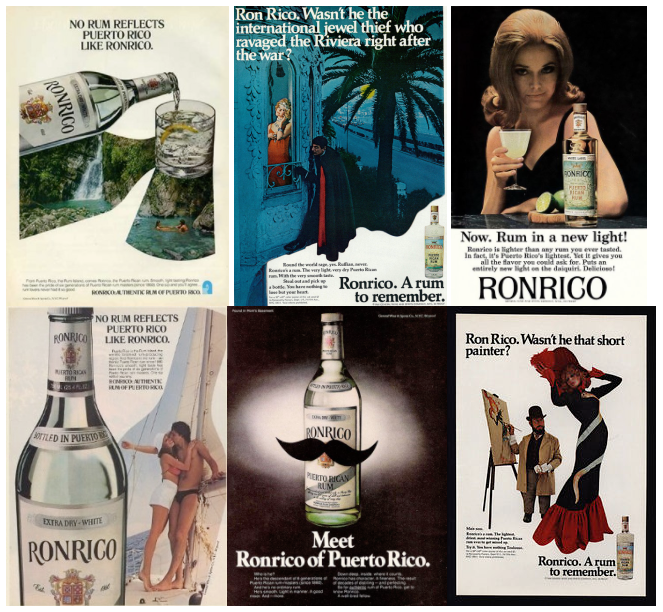 Regardless of how they faired in business, they did a great job at making some very cool retro rum ads. 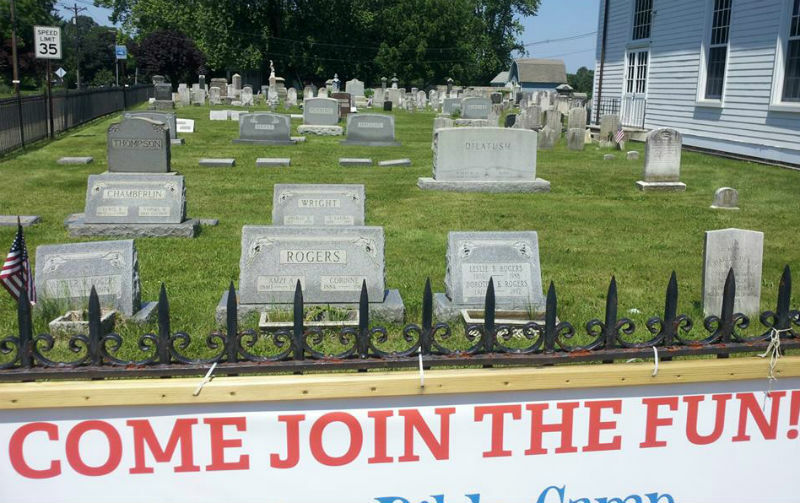 Whether we like it or not, advertising has changed significantly since the rise of computers and the Internet. Decades ago, it was a far simpler time for companies looking to try and get their message across. Radio, outdoor media, newspapers, magazines, and eventually TV advertisements were the preferred options where businesses would spend their advertising dollars. From social media to Google Adwords the online world’s impact on the industry have changed the game forever. As consumers are inundated with ads nearly every minute of the day, it often becomes a game of quantity versus quality in advertisements. While this is a reality that we just have to accept. We hope these rum ads took you back to the good old days of advertising for a little while. If you ask about brand wars in polite conversation, you’re sure to get an interesting answer. Top brands going head to head with each other through public advertising is the stuff of marketing legend. 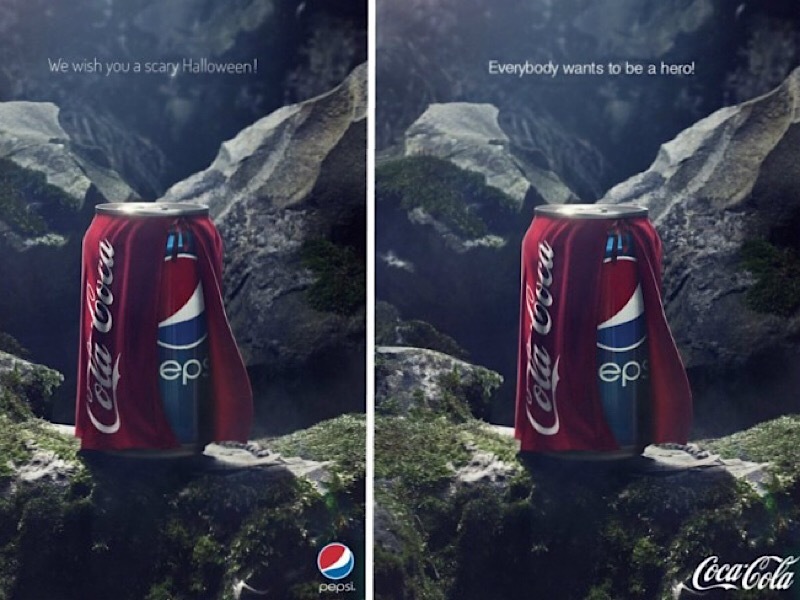 From famous rivalries between Coca-Cola and PepsiCo to the all-out ad war between several car manufacturers. Indeed, brand wars in marketing is a sight to see. Some brand wars on the following list even saw involvement from social media followers, who tweeted, commented and voted on rebuttals. 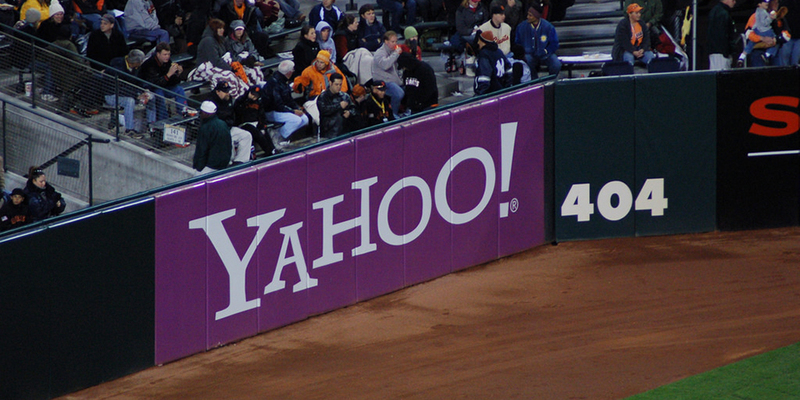 Here are some of the legendary brand wars in marketing that have swept the world. In fact, most of the shots fired were printed in magazines or on billboards! There has never been a more polarizing battle between beverages than that of Coke and PepsiCo. In fact, the famous rivalry between these two soda companies is referred to in marketing history as the Cola Wars. In order to understand how the ferocious rivalry came about, it’s important to understand the history of both mega brands. Coca-Cola was started in 1886, while PepsiCo laid its foundations in 1893. PepsiCo fired the first shot against Coke in 1975, by introducing a marketing campaign called the “Pepsi Challenge.” The Pepsi Challenge involved a blind taste test between people, who then favored the PepsiCo soda more. It looked like PepsiCo had Coke beat for at least a decade, particularly after Coke changed their formula and launched “New Coke” in 1985 to terrible reception. However, the tides began to turn when PepsiCo’s biggest stars began having headline troubles. Michael Jackson’s hair caught fire while filming a Pepsi commercial. David Bowie had a sexual assault scandal while he was under PepsiCo’s contract. Furthermore, Pepsi used “Like a Prayer” in a commercial at the time it was being received as blasphemous. 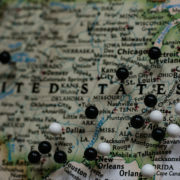 Finally, in 93, consumers of the blue can began finding syringes in their cans in at least 20 states. 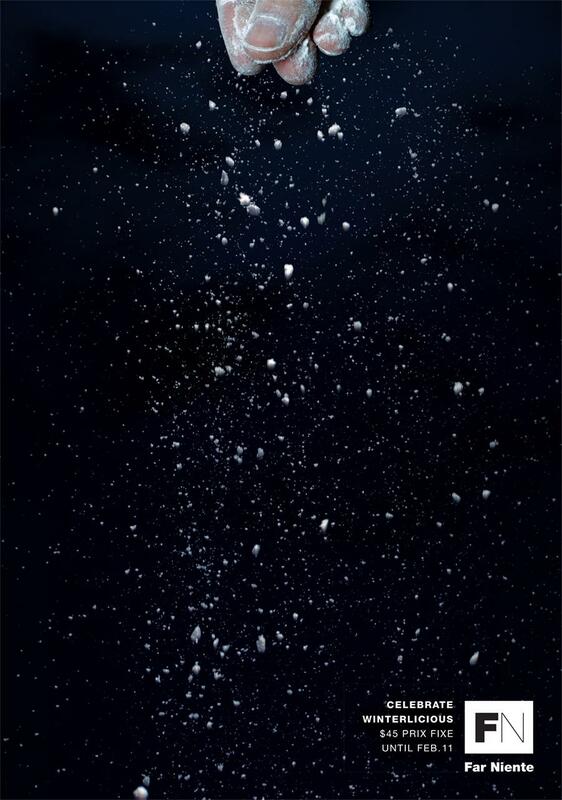 The official end to the Cola Wars is widely thought to be 2011. This year was when Diet Coke bumped Pepsi out of the second most popular soft drink spot in the world. The first, of course, was Coke. The burger behemoths have had a long-standing rivalry, similar to the soda giants above. In fact, the fight has been kept pretty clean for decades, with only a few jabs thrown directly here and there. For the most part, Burger King and McDonald’s are content to offer almost the exact same thing on their menus. One notable departure was the disastrous “Whopper Virgins” ad campaign in 2009. 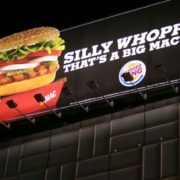 This ad campaign appeared to steal a page from PepsiCo’s book, displaying blind taste test ads between the Big Mac and the Whopper. 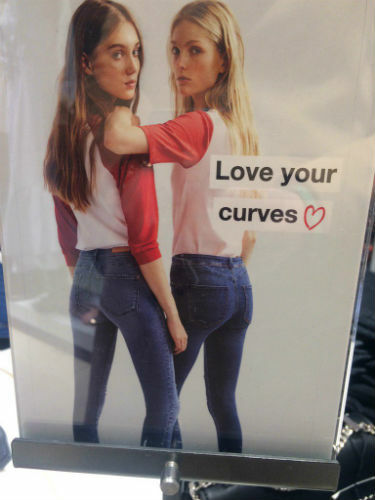 Nobody appeared to win that advertisement war, as the public found the ad campaign racist and exploitative. When most people think of brand wars, this popular tech one comes to mind. Apple founder Steve Jobs was famously no fan of Bill Gates. In fact, Apple has been taking aim at Microsoft for the four decades since it’s inception. You may recall the “Hi I’m a Mac, and Hi I’m a PC” commercials. In fact, Apple’s first advertisement hammered Microsoft- literally. The famous 1984 commercial featured a hammer-thrower running through the ranks of blank-faced grey followers staring at a propaganda screen and destroying the film with a hammer. The overlay text read, “On January 24th, Apple Computer will release the Macintosh. And you’ll see why 1984 won’t be like ‘1984.’” The advertisement referenced Microsoft as a dull conformist overlord, and Apple as the bright new disruptor. While we can’t say that Microsoft is dull and conformist, it is certainly true that Apple was a disruptor in the computer market. One of the more famous billboard advertising wars played out between BMW and Audi. Like other major brands on this list, BMW and Audi have been sniping at each other for decades. However, one billboard erected in Santa Monica fired off a savage shot heard around the world. Audi invites fans to photoshop responses onto their next billboard on their Facebook page. The feud didn’t end there, but continued in print. It even garnered ads from Subaru and Bentley in response. 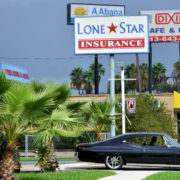 It can be difficult to come up with unique and creative ideas for outdoor media ads as over time many of the ideas have been used. The key to setting yourself apart is to think out side of the box – literally! You can see what I mean by taking a look at these 15 creative billboard ads. 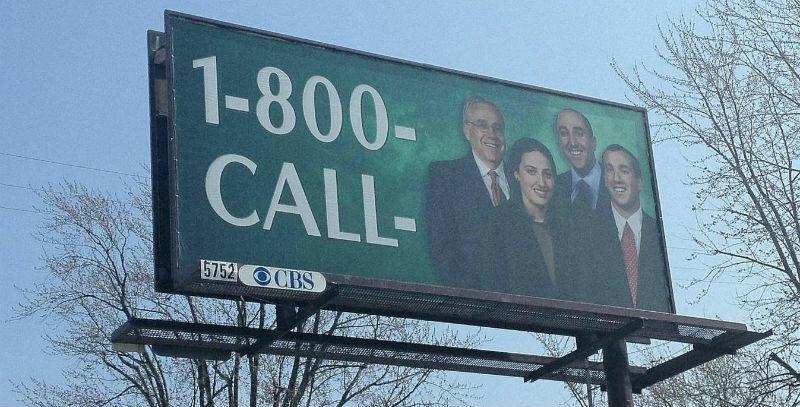 These savvy marketing professionals didn’t let the boxed-boundaries of a billboard canvas dictate their service or product’s message. However, just envisioning something different won’t always lead to success. 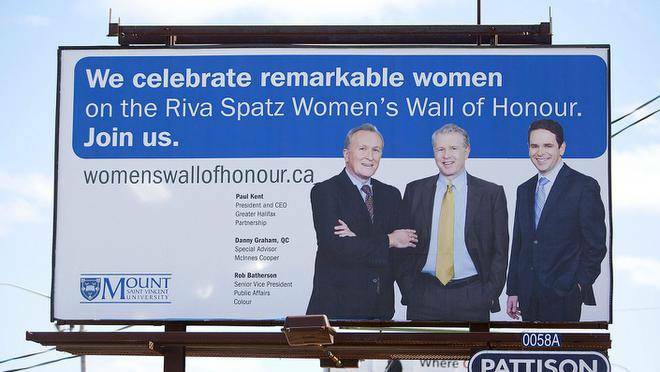 To create a truly successful and exceptional billboard you must first think of your product/service and what need it fills. This understanding of the message will be the foundation you need to build some very innovative ideas on. 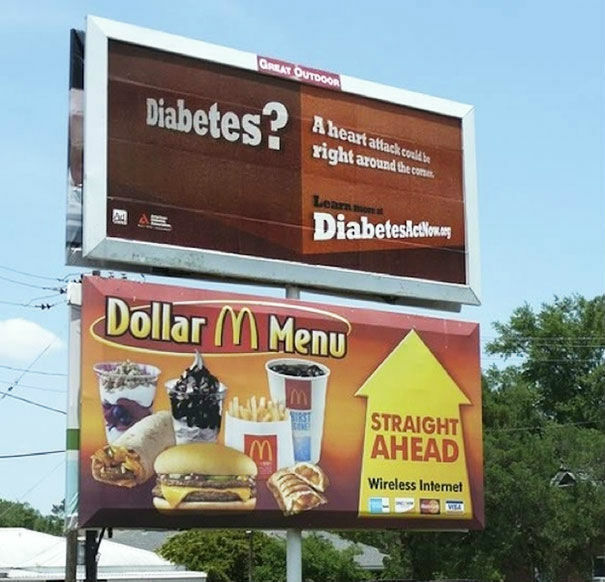 I have found no better example of a “fresh” take on billboard marketing that promotes the product’s message then in this Glad advertisement for their outdoor billboard campaign! 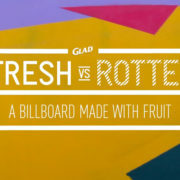 In this Glad advertisement campaign, the company uses its own product to show how much fresher it can keep your fruit then it would be without using Glad. It quite literally spells it out for you! 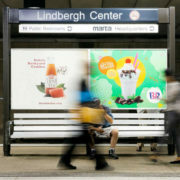 This merger of creativity aligning with the purpose of the product creates for a truly outstanding outdoor media campaign. 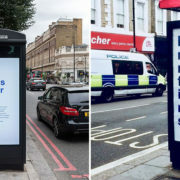 Actually showing the use of a product for all the public to see is a great way to demonstrate it’s value and this Glad advertisement does a great job of doing that. 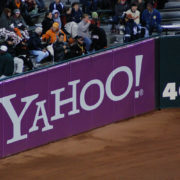 They also chose a product that’s common and can be used by almost anyone so their billboard appeals to a wide audience. 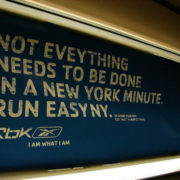 The ad needs little or no explanation behind it which is another key to a successful billboard ad, simplicity. 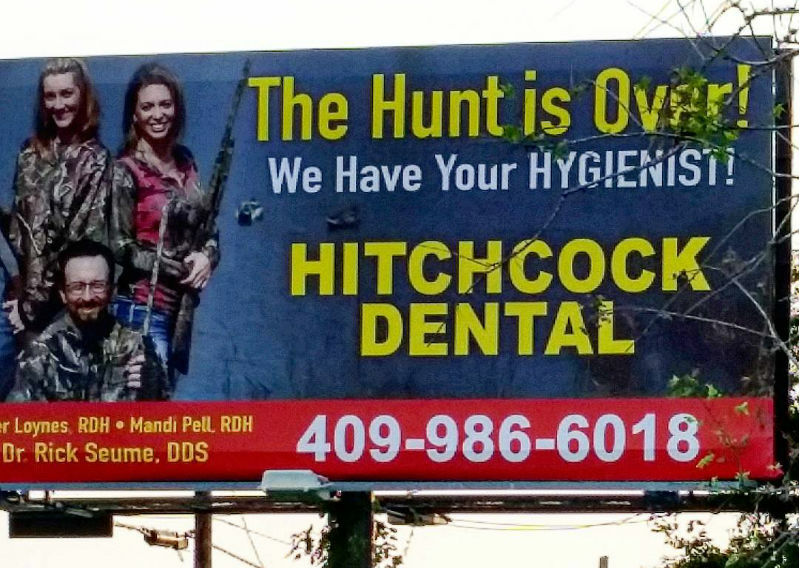 People who see a billboard only have a few seconds to take in the message you are trying to portray so it’s crucial to get he message across in a quick and memorable way. While these types of ads are undoubtedly very successful, not all of us have the ingenuity, resources, space or wherewithal to complete such a marketing feat as the ones mentioned above. However to be successful, you don’t always have to break the mold. Even some simple creative properties can get you started to move you down tracks to a very successful and engaging billboard campaign! If you follow these “Rules of Engagement” based on the foundation of promoting your product/services core message and spice it with some outside of the box creative thinking you have yourself the perfect recipe for success! 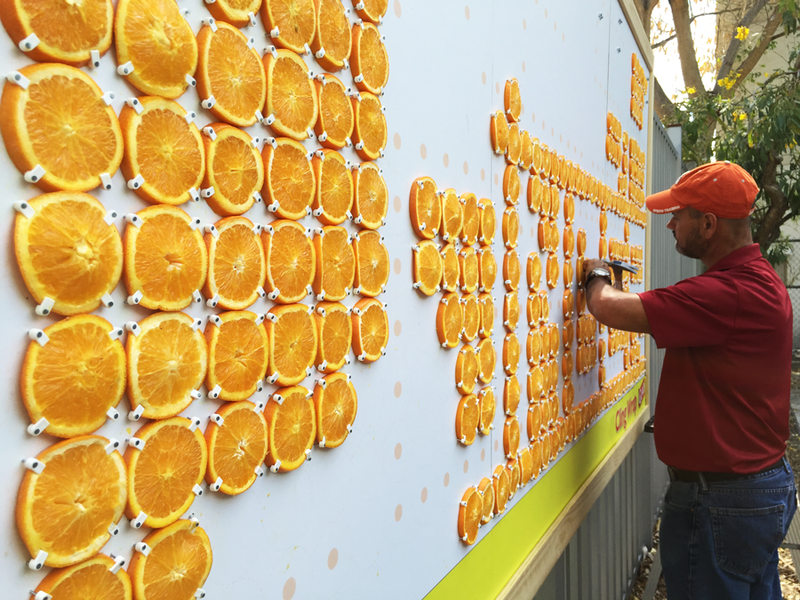 If you’re interested in creative outdoor media check out our article on outside the box marketing ideas for more inspiration.